Bungie has previously said that players who have the Forsaken Annual Pass can expect a 50 Power increase with each Season. 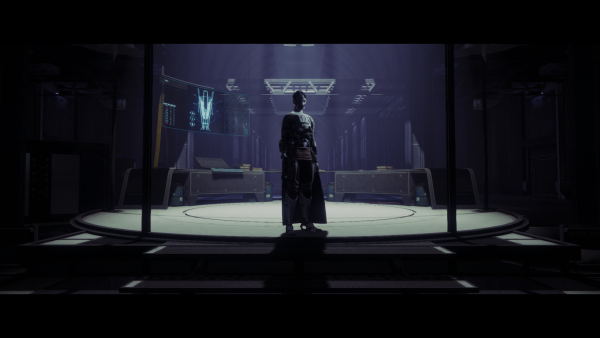 Black Armory begins with a recommended Power rating of 600, so if you’re still lagging behind you can check out our guide on how to increase your Power to 600. The cap was recently reduced by five points, though it may drop further if too few players are able to access the Lost Forges. For now, let’s take a look at what you can do in Black Armory to increase your Power level ahead of the Scourge of the Past raid going live on Friday. The raid doesn’t have a minimum Power requirement, technically you can attempt it at any level, but it’s recommended that you are at least 640 Power if you want a good chance of succeeding. That being said, if your buddies are all a higher Power level than you and you want to tag along for the ride, go ahead and see what spectacular loot awaits you. Completing Nightfall strikes, Heroic public events and bounties are a good way to grind for gear. Participating in Crucible and Gambit matches are another surefire way to get some good loot, particularly in the Competitive playlist Crucible matches. Everything that gives you a Powerful or Prime Engram is still of value to you, but they may only boost your Power by two or three points per item. Some may be plus five or six depending on the activity and your Power level. Let’s break it down further into categories – small, medium and large gains. You don’t need to do these in any particular order, though completing Medium or Big gain activities will give you the biggest drops. As we said earlier, teaming up with higher Power level buddies can yield good rewards for you that could see you earn a lot of Power quite quickly. You can always create a second character, wherein in you level up one character, put high-level weapons in the vault, then start with a new character and level them up quite rapidly. Forsaken comes with the option of boosting one new character to level 30, so you can take advantage of higher Power gear much quicker than you’d expect.